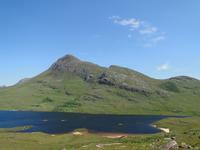 Cul Beag and Cul Mor (Corbett) are two impressive rocky hills in in the Inverpolly Nature Reserve N of Ullapool. They can be climbed together to give a full day in the hills but this will involve an un-bridged river crossing. Both these hills have bands of weathered sandstone cliffs which should be avoided, on Cul Beag, the cliffs are primarily on the N and W slopes. Cul Beag can be ascended from the E via the stalkers path that leads onto Creag Dubh, or from the S via the road to Stac Pollaidh. 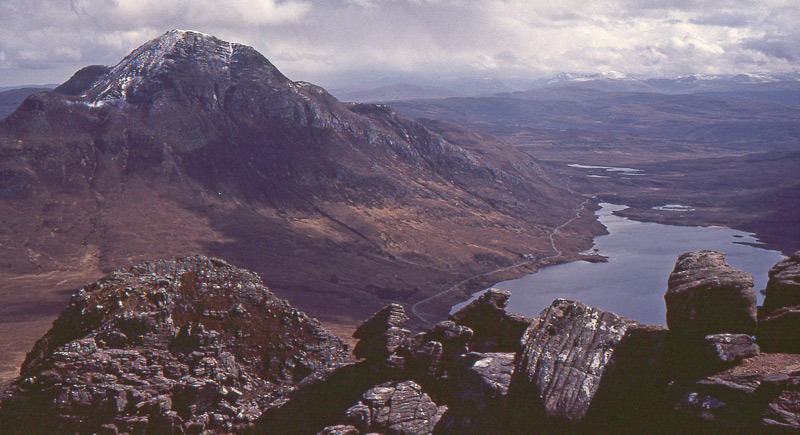 Cul Beag from Cul Mor; May 1981. Cul Beag from Stac Pollaidh; May 1981. Cul Beag above Loch Lurgainn. 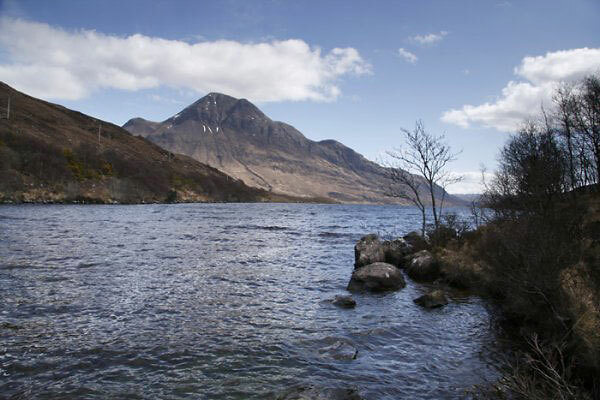 The summary information of one or more ascent routes that include Cul Beag. 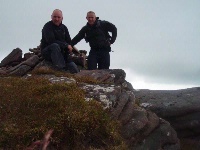 1 1577 m 17.72 km 6.5 hrs Cul Mor and Cul Beag A longer route on two craggy hills. WARNING! requires unbridged crossing of river, which may not be possible in wet weather. Avoid scrambling on weathered sandstone which gives poor handholds. 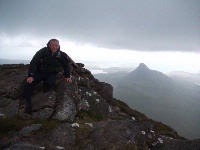 Myself at Summit Cul Beag 07/07/2011 after climbing Cul Mor. 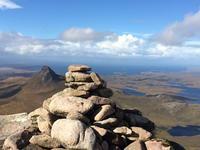 with Stac Pollaidh in the background. Post a few words about Cul Beag or read what others have had to say.